The Nixeus NX-EDG27 is the cheapest 27-inch 1440p 144Hz gaming monitor with an IPS panel, but it does everything the more expensive models do, and at some things, it’s even better. What distinguishes this FreeSync monitor from the rest of its kind, is that it offers a certified dynamic range of 30Hz-144Hz right out of the box which is a huge plus. Based on a high-quality AHVA (IPS) panel by AU Optronics, the Nixeus EDG27 monitor offers accurate and vibrant colors with true 8-bit depth and 100% sRGB gamut. The brightness peaks at 300-nits while static contrast amounts to 1,000:1 which is pretty standard. Other panel-related specifications include the impeccable 178-degree viewing angles and a quick 4ms response time speed. The wide viewing angles mean that the image won’t shift in color and contrast when it’s viewed from skewed angles but rather remain crystal-clear. On the Nixeus EDG 27-inch monitor, the WQHD resolution of 2560×1440 pixels provides vivid details and plenty of screen real estate due to the high pixel density of 110 PPI (Pixels Per Inch) which many consider the sweet spot. While the picture provides consistent colors and uniform luminance, a proper Nixeus EDG 27 calibration out of the box is needed if you wish to use it for professional color-critical work. We haven’t encountered any dead pixels nor issues with the monitor whereas backlight bleeding and IPS glow are only present to the expected degree, visible only on dark backgrounds in peculiarly dim rooms. The 144Hz refresh rate makes fast-paced gaming more immersive and engaging especially competitive FPS games where the extra fluidity offers not only a more enjoyable gameplay but also gives you the advantage over your opponents with regular monitors. The Nixeus NX-EDG27 input lag performance, which is measured as the time the monitor takes to display your commands, is outstanding and amounts to only 10ms. As for the response time speed, which is the time pixels take to change from one shade to another, it comes to 4ms which is very good. While the response time isn’t as quick as that of the TN panel monitors which offer 1ms, it’s still more than enough to eliminate ghosting and motion blur for a seamless gaming experience. Moreover, the TN panel displays have significantly worse color reproduction and viewing angles while the VA panels have considerably worse ghosting. 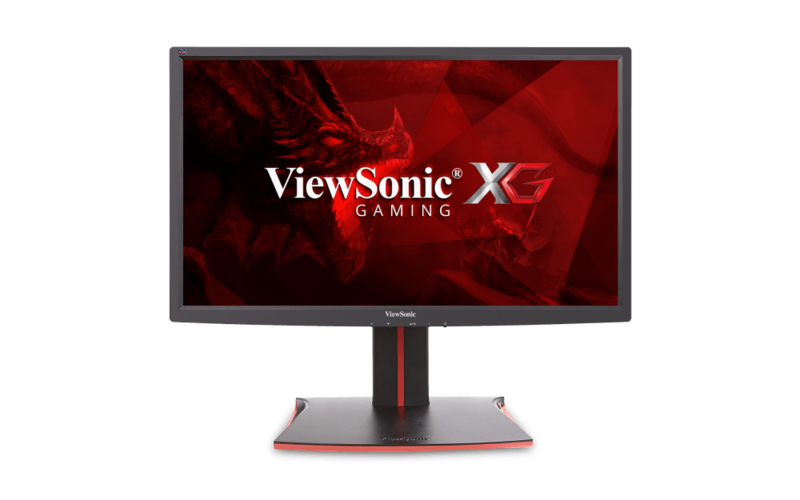 In addition, the Nixeus NX-EDG27 144Hz gaming monitor offers the exclusive Anti-Ghosting technology which can be activated in the OSD (On-Screen Display) by setting the Over Drive setting to Low, Medium, or High depending on necessity. 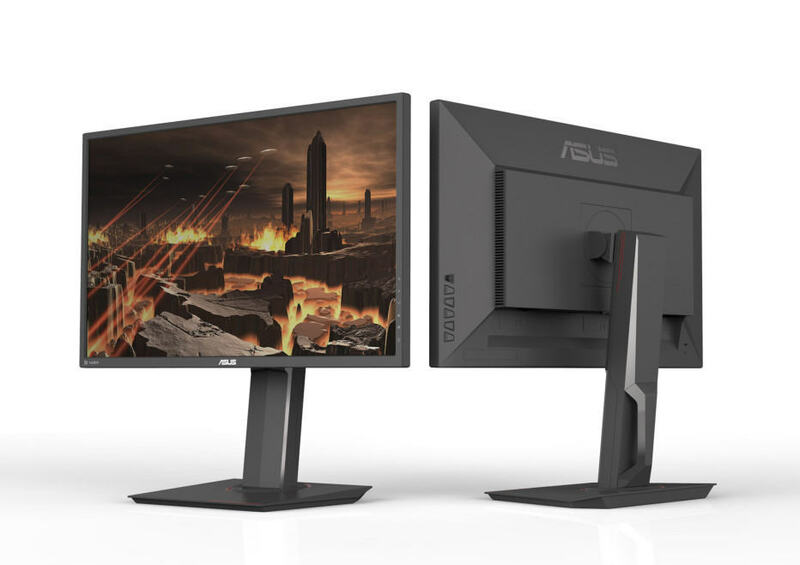 As previously noted, one of the monitor’s strongest points is the AMD FreeSync technology with the wide dynamic range. Unfortunately, this doesn’t mean much for the Nvidia users, as only AMD-FreeSync compatible graphics cards can benefit from this technology by synchronizing the refresh rate of the monitor to the frame rate of the GPU which eliminates screen tearing and stuttering. The Nixeus NX-EDG27 FreeSync range is 30-144Hz, but even when your FPS (Frames Per Second) rate drops below 30, the LFC (Low Framerate Compensation) kicks in and doubles the framerate to make the picture more smooth. Keep in mind that you can still use the monitor with Nvidia cards, but you won’t be able to activate the variable refresh rate technology. Instead of a joystick for navigation through the OSD menu, the monitor has six buttons in addition to the power button. Though we may have been spoiled by the user-friendly joysticks of modern displays, navigation through the Nixeus EDG 27 settings menu is pretty straightforward. In the OSD, you’ll be able to find all the common adjustable settings such as brightness, contrast, sharpness, saturation, color temperature as well as the gamma (1.8, 2.0, 2.2, 2.4) and RGB color configuration. Other features include the Low Blue Ray which filters out the harmful blue lights, audio adjustments, input source selection, etc. Apart from the Color Effect picture presets (Standard, Gaming, Movies, Photo, and Vivid), there’s Ultra Vivid setting which we recommend setting it to OFF as it can increase input lag and decrease color accuracy. 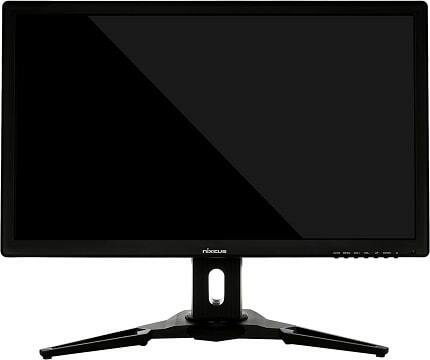 On Amazon, you will be able to find two Nixeus 27″ 144Hz models, the one pictured above and the Nixeus NX-EDG27S. The one with the S suffix is cheaper but doesn’t have an ergonomic stand whereas the Nixeus NX-EDG27 offers versatile adjustments including 90° pivot, swivel, tilt, height, and VESA mount holes. 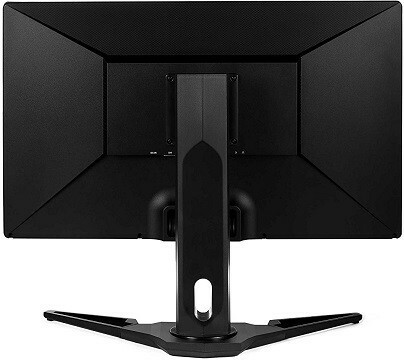 The Nixeus NX-EDG27S is tilt-only but it’s also VESA mount adjustable, so if you already have an ergonomic arm mount, you can save $60 and get the cheaper model. Both versions offer rich connectivity including an HDMI 1.4, an HDMI 2.0, a DisplayPort 1.2, a Dual-Link DVI-D, an audio line-out for the headphones and line-in for the 2x2W integrated speakers. FreeSync is supported via the DP only while both DP and HDMI 2.0 offer 2560×1440 at 144Hz. The Nixeus NX-EDG27 price amounts to $480 at the moment (March 2018) while the Nixeus NX-EDG27S costs $420. Both offer great quality for the money as the similar 27-inch 1440p 144Hz IPS monitors with G-SYNC instead of FreeSync, such as the Acer XB271HU, costs nearly twice as much. 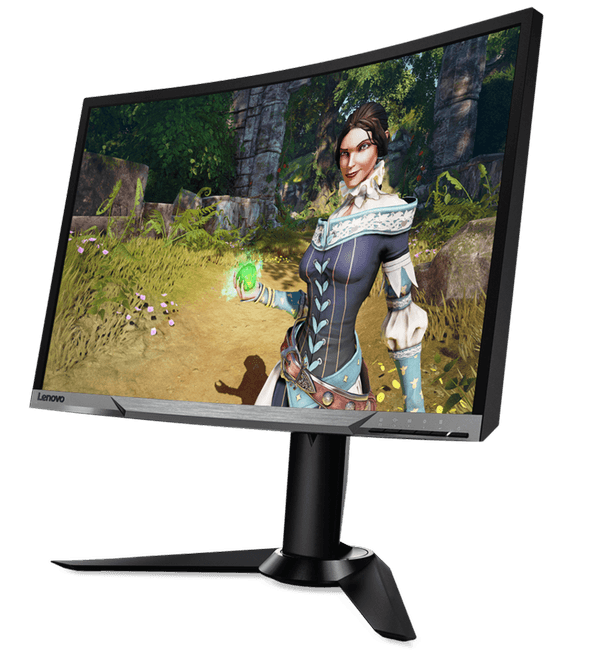 Alternatively, you may be interested in the Acer XG270HU which is also a cheap 1440p 144Hz gaming monitor but with a narrower FreeSync range and a TN panel instead of the IPS which means faster response time but worse image quality. Overall, the Nixeus NX-EDG27 is an amazing gaming monitor for the money. The only dislikable thing about it is its unappealing design, but for the performance and image quality it offers, the appearance is entirely negligible – unless, ofcourse, you can afford a more expensive display. The Nixeus NX-EDG27 is the best 1440p 144Hz IPS gaming monitor for the money. If you want a G-SYNC version, you will have to pay nearly twice as much just for the variable refresh rate technology which is hardly worth it unless you can easily afford it.